Robben Island, off the coast of Cape Town is associated the world over with the struggles and oppression of Apartheid. Today it is a beacon of triumph telling of the victory over human rights abuse and the fight against oppression. At different times between the 17th and 20th centuries Robben Island has been used as a military training base, a prison and even a hospital. During World War 2 soldiers were trained on Robben Island and it was used as a great defence point. Between 1846- 1937 a hospital was on Robben Island for patients suffering with leprosy, mental instability and chronic illness. This was because the island created the perfect place to keep these patients isolated from the community preventing the spread and dangers of the illnesses. At the same time prisoners like Nelson Mandela were being kept on Robben Island for political and common law crimes thus making the island a prison also for the patients who had no cure. 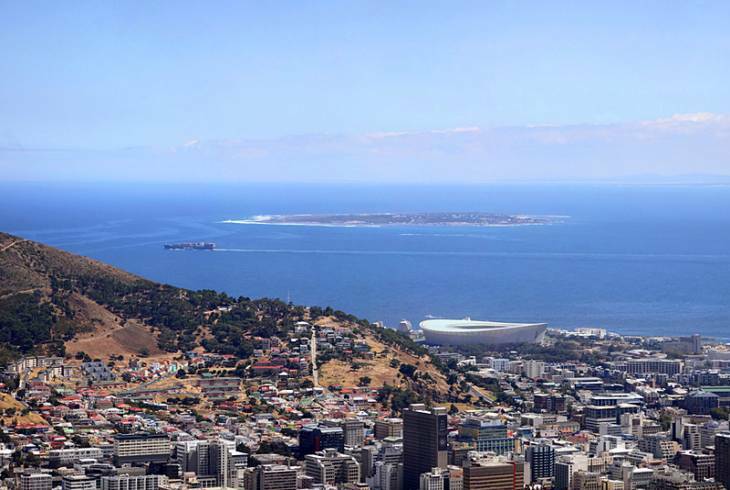 Robben Island - Cape Town Information and Nearby Accommodation.